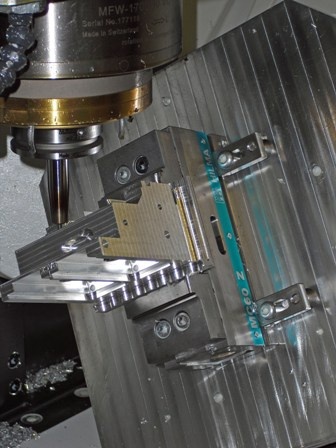 The need to drive down material costs and eliminate distortion when machining off waste, led Ireland-based Smithstown Light Engineering to invest in 5-Axis workholding vices from Roemheld. For years, Smithstown has been making precision instruments for orthopaedic manufacturing companies and engineering companies. The family-run business also specialises in the supply of a wide range of moulds to companies involved in filtration, medical, aerospace, automotive and contract moulding. As such, Smithstown uses a wide range of materials, including copper tungsten and a variety of plastics. In a move designed to both improve material costs by reducing wastage and eliminate distortion during the machining-off process, the company decided to invest in Roemheld 5-Axis vices, which offer the ability to grip on just 3mm. 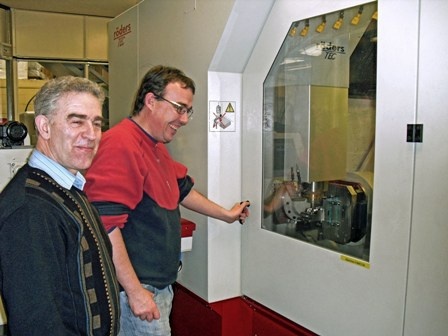 Smithstown had purchased Roemheld hydraulic SM100 and SM125 vices in the 1980s and, impressed with their performance (the company is still using the original vices today) they had approached Roemheld at MACH 2008 and explained their need to minimise material wastage but without compromising on gripping power. This requirement resulted in Smithstown’s investment in the Hilma MC100Z, MC60Z and SCS80 vices. Two years on and the Roemheld vices are still on Smithstown’s Roeder 5-Axis and Micron 5-Axis machines. The company specialises in small batch sizes, including prototypes and two to three offs and its 5-Axis capability makes this viable thanks to the minimal materials handling and set-ups involved. Smithstown also prides itself on being a one-stop shop. As well as 5-Axis machining and equipment the company has the competitive advantage of being able to offer microtooling services from design and manufacture right up to the production of moulds. Customer service is critical and the company has built a reputation for offering ongoing support for its tooling, no matter how long ago it was supplied. In fact, it still deals with its very first customer from 1974. The business employs 55 people, more then 15 of whom have been with the company for over 20 years. A large majority of employees are CNC programming specialists as this expertise is vital to the company’s operations. Standardised CNC programmes are used whenever possible across milling, turning and machining processes, while grinding and wire erosion require specialised programming. In addition, with 5-Axis machining requirements becoming increasingly complex, a 10 hour machine cycle can involve five times that many hours in programming. Smithstown was originally set up by Brian King and two business partners in 1974. Today, Brian still runs the company along with his son Gerard. For over 20 years, Smithstown has been manufacturing various types of Orthopaedic instruments and implants for the medical industry and the company has increasingly focused on this sector over the past four years. 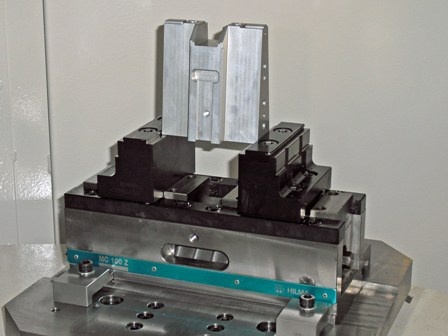 Repeatability and accuracy are critical to this industry, which was another reason why Roemheld 5-Axis vices were chosen as they would produce the same results every time to the highest tolerances. In addition to supplying medical instruments and implants to a number of multi-nationals in Ireland, Smithstown also exports high precision cavities and insets to Northern Italy and ships parts to the Philippines and the UK. The company is looking to expand its overseas business by exporting its one-stop shop approach to the medical industry in the USA. Because total job traceability and quality are vital when supplying to the medical industry, Smithstown operates to the highest standards and is ISO 13485:2003 accredited. To assist its export plans, the company is implementing a new computer system which will track its manufacturing end- to- end. This system will hold details of a job’s entire history, including full traceability from raw materials to time of manufacture. The company is also planning to extend its manufacturing plant in Shannon by 4,000 sq ft in 2010 to 20,000 sq. ft. The new space will enable Smithstown to increase production efficiency and prove out tools before shipment. Smithstown has an annual turnover in excess of 5 million Euros. Its strategy of keeping risk down, with conservative borrowing but ploughing profits back into the business (over 5 million Euros invested back into the company) has helped it survive the current uncertain economic climate. The recession has had an impact the company used to employ 61 people, but Brian King is hopeful that the employee numbers will be back up to 60 by the end of the year as the company moves up from two to three shifts. Smithstown is also planning on installing another 5-Axis machine within the next eighteen months and further site expansion of 11,000 sq.ft. by 2012. For more information, contact Roemheld on 01462 459052.